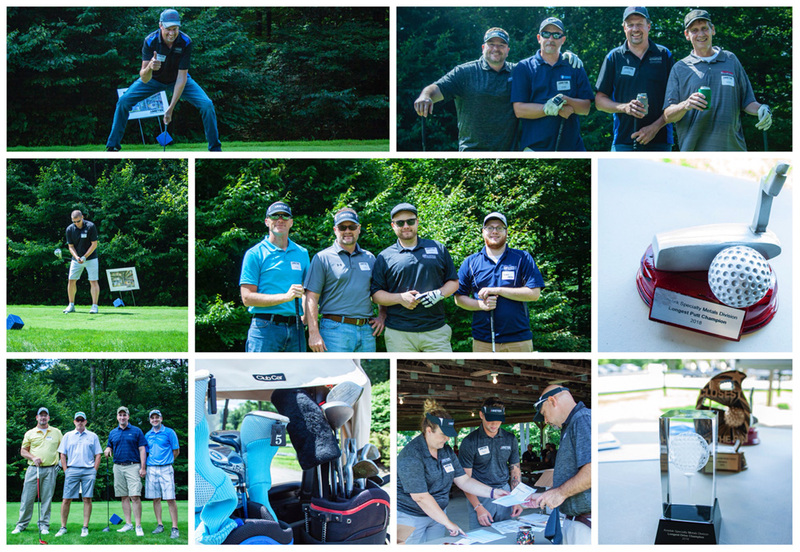 AMETEK SMP Eighty Four held a Golf Tournament on August 23rd in Dubois, PA for its specialty metal powder customers in the West Pennsylvania area. 11 teams took part with players from different customer organizations. The teams were paired up with employees from Eighty Four’s Sales, Operations, Quality and other departments. On the previous evening, Eight Four hosted a “Meet & Greet social” with the invited guests. The Golf Day itself began with a light lunch, followed by the tournament on the green, rounded off with a steak dinner. Prizes were awarded for best golf scores and best skills. The whole event was prepared and assisted by two college interns who had the opportunity to gain valuable work experience in event planning and execution within manufacturing organization. AMETEK SMP Eighty Four, named after its location in Pennsylvania, is a global leader in the design, development and production of high purity nickel and cobalt alloy powders, stainless steel powders and custom-atomized powders. The company also specializes in cladding stainless steel to aluminum, and stainless steel or high nickel to carbon steel.